A Rinkya Blog: New Ponyo On A Cliff By The Sea Images! 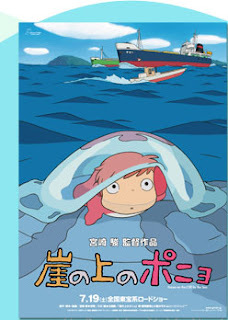 7andY updated their blog with numerous illustrations from Gake no ue no Ponyo (Ponyo on the Cliff by the Sea). You can view the characters and other images! We are so excited for Miyazaki Hayao’s latest movie to come out! I wish they would hurry already! Studio Ghibli Yahoo Japan Auctions!